Saudi Arabia and Iran contend the leadership of the Islamic world and hostage the Middle East (and not only). That is why the new geopolitical crisis with Qatar should not be underestimated, especially now that there is Trump. We have prepared a detailed infographic to better understand the affairs of the Gulf Countries, which have to do with religion but also naturally with oil. And then we went to visit the United Arab Emirates, perhaps the coolest place in the area, which we tell you in a hipster riding in Abu Dhabi and Dubai, the first devotee to culture, with the Louvre opening up by the year, the second ever more in the part of the model town for the third millennium. 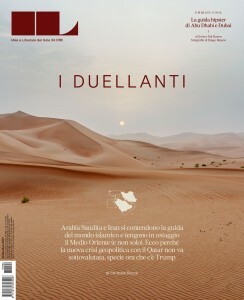 The new issue on Friday, August 25, with Il Sole 24 ORE.